Here we have a book that's been hanging around my place for a long time. Someone gave this to me years ago (can't remember who...I think they were cleaning out their house or something), but I never thought to post it since it isn't completely Pixar. Well today I stumbled upon it and figured, why not? Though maybe a bit random, I think there are enough Pixar elements here to make this item post worthy. 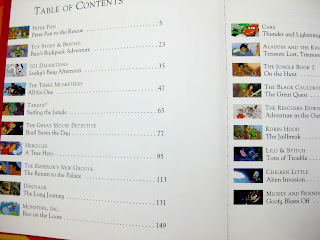 Disney Adventure Stories is a 318 page collection of short stories ("A Treasury of Tales", if you will) featuring some of your favorite Disney and Disney·Pixar characters. 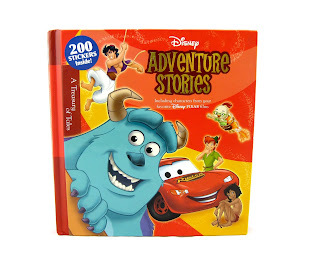 You'll find stories based on Peter Pan, Hercules, The Emperor's New Groove, The Black Cauldron, Cars, Monsters Inc., Toy Story and so much more! 200 stickers are included. This was released in 2007, so at this point I guess you could say it's pretty outdated (if your kids are more interested in hearing stories from Frozen, Big Hero 6, Zootopia, Monsters University, Inside Out, The Good Dinosaur, etc. right now, then this might not be the best option). 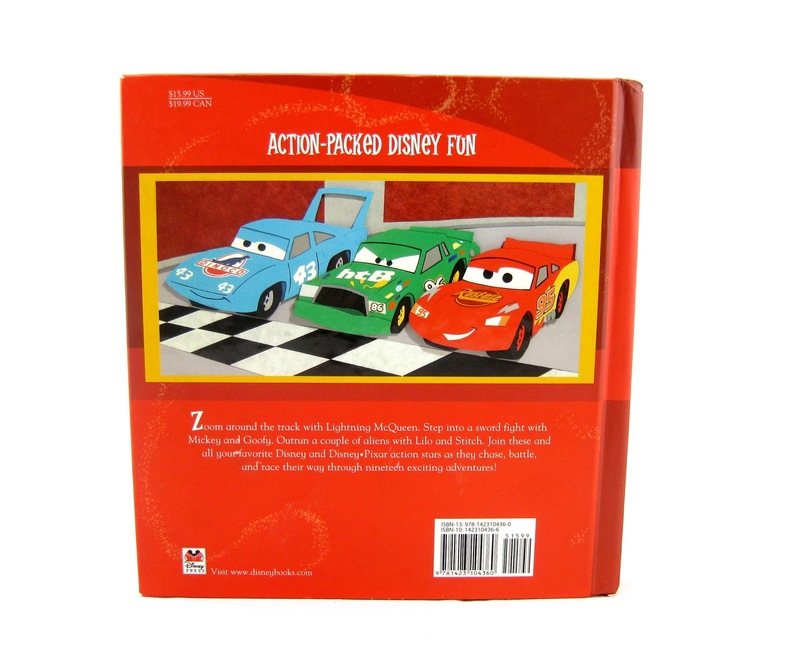 However, the Disney classics are mostly timeless and still relevant, so kids may enjoy this nonetheless depending on their favorite films and characters! Next I'll be focusing in on just the Pixar related stories. 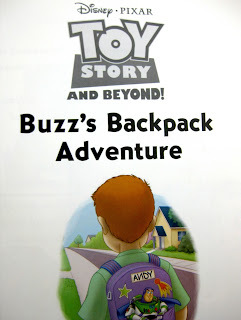 First off, there's Toy Story & Beyond: Buzz's Backpack Adventure. 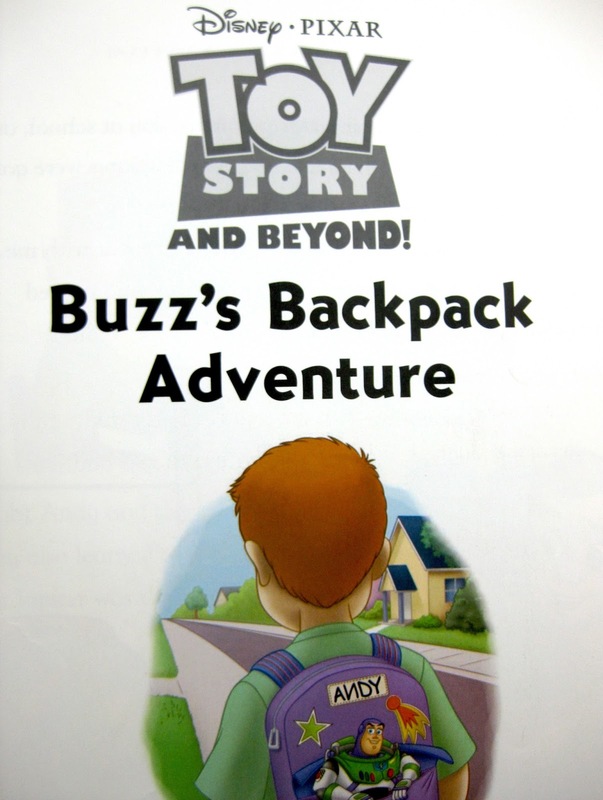 This is a cute, simple 11 page story about Buzz Lightyear going to school with Andy for "space day" / show and tell and what happens when the students leave the classroom for lunch! It plays out very much like a Toy Story Toon short film. 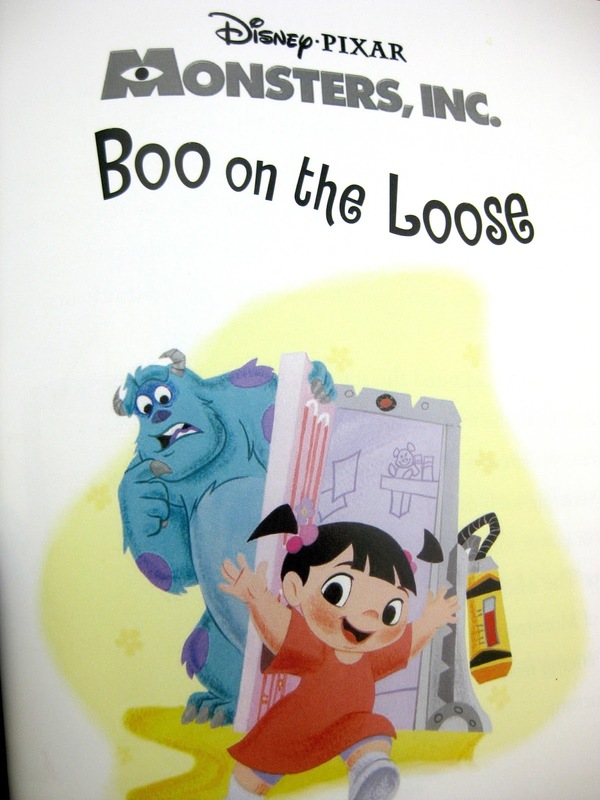 The first part of Monsters Inc.: Boo on the Lose is based on some of the events of the actual film. It then shifts to a part of Mike and Sulley's story that we never saw in the movie...taking Boo to the park the day after they found her in the factory. Boo shenanigans ensue! This one is 15 pages. 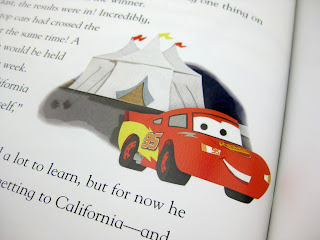 Cars: Thunder and Lightning is a direct adaptation of the film's opening Dinoco 400 race with no additional story elements. It's 11 pages long featuring some fantastic illustrations! 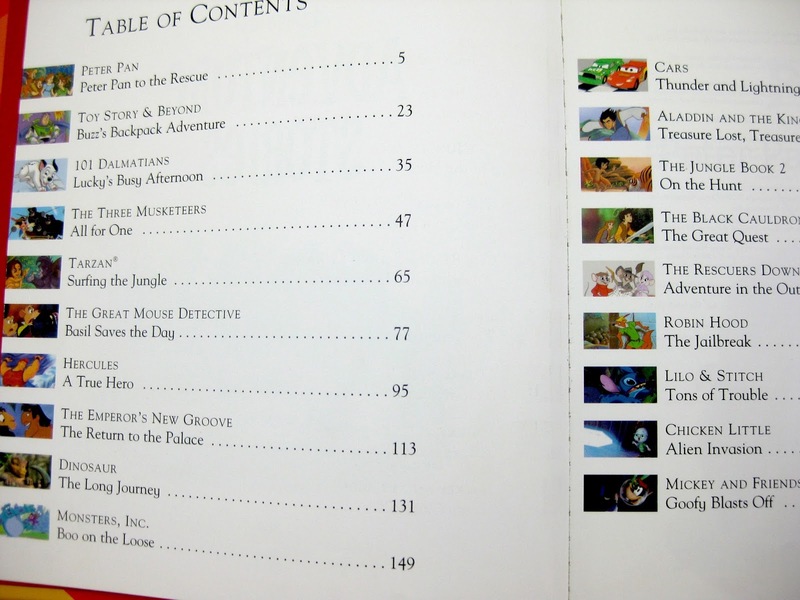 In the back of the book, I noticed that there's a version of the "Storybook Collection" that is all Pixar related (from 2006). That one might be worth checking out! UPDATE- there is also an updated 2014 version of the Pixar Storybook Collection book found HERE. 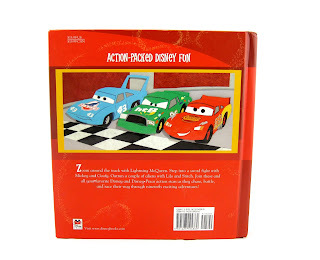 If your kids love Disney books and/or if you're looking for some short bedtime stories featuring more classic Disney/Pixar characters, then you might be interested in picking this up! Ultimately it's a fun collection of adaptions and fan fiction (for lack of a better term) with some adorable illustrations throughout by the Disney Storybook Artists. Find it on Amazon using the direct link below!